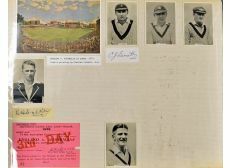 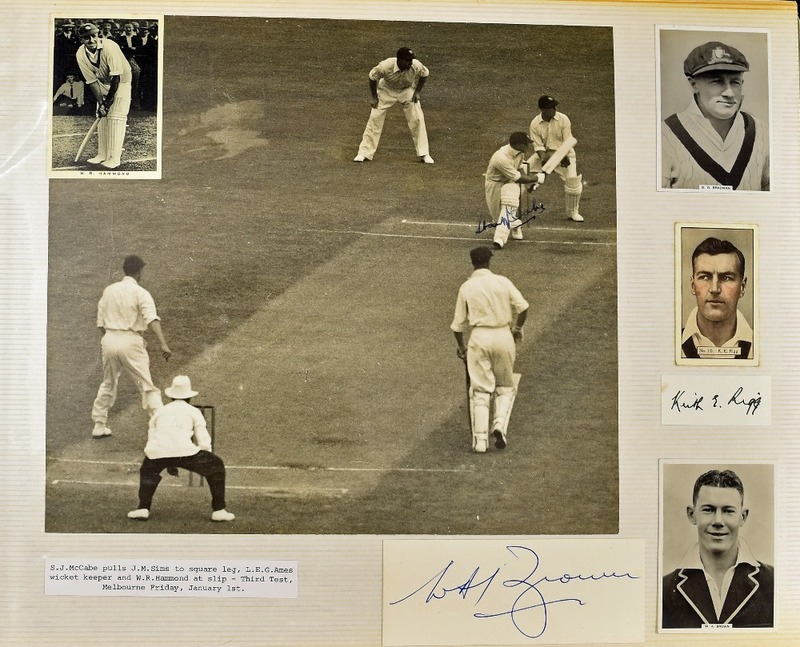 1930 – 1960’s Cricket Ashes Ephemera Album containing assorted photos, press stills, portraits and reproductions, newspaper / magazine cuttings, cigarette cards (approx. 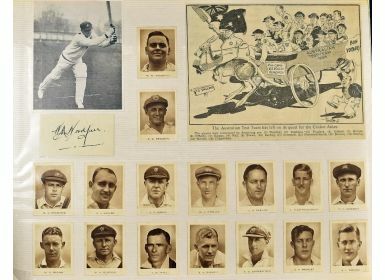 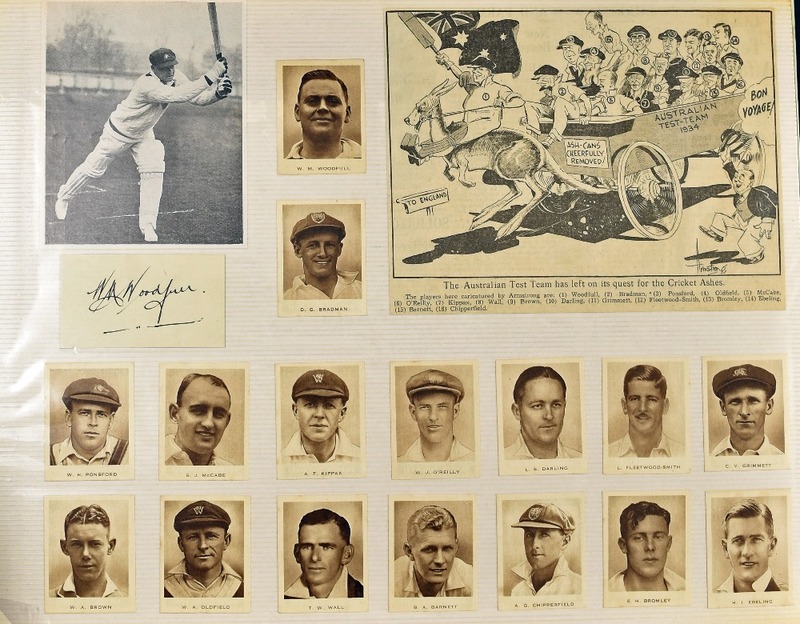 155+), postcards, assorted signatures on paper and photos including Larwood, Simpson, Harvey, Tyson, Hardstaff Jnr, Bradman and others (approx. 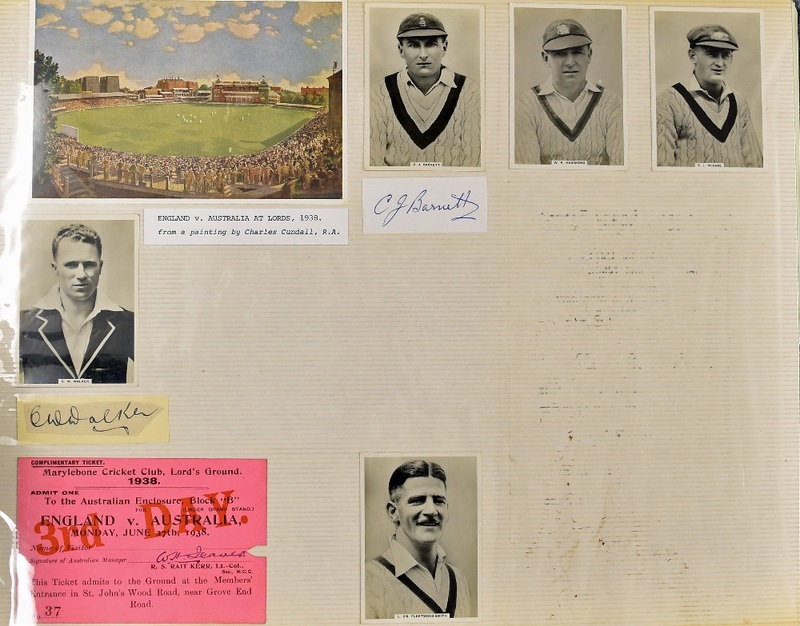 41) 1956 Australia Tour Sheet, 1962 M.C.C. 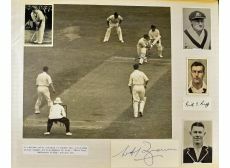 sheet, Jaeger 1930 printed second test sheet and others.